The Authentic German Butter Cake – Butterkuchen is a yeast cake. 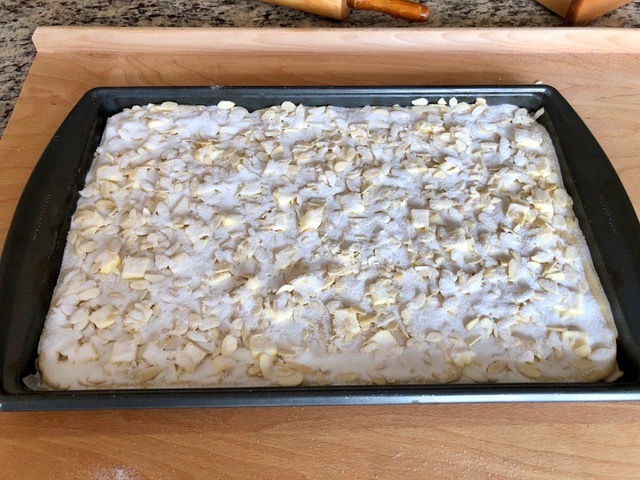 The topping consists of butter, almonds, sugar, and whipping cream. A great choice for an afternoon Kaffeeklatsch. 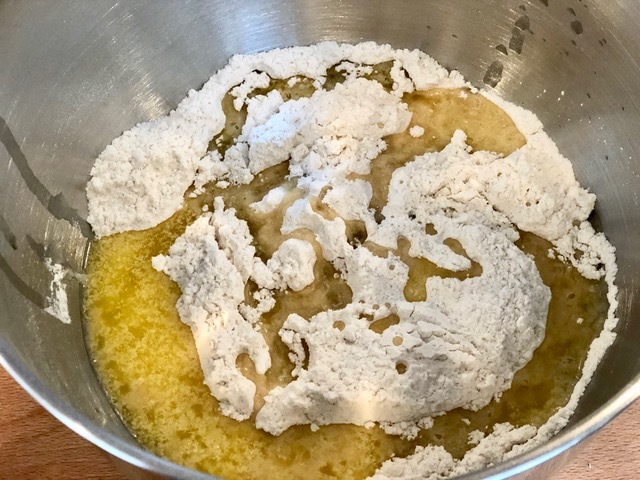 Sift the flour into a mixing bowl, add sugar, salt, and yeast and mix the ingredients with a spoon. 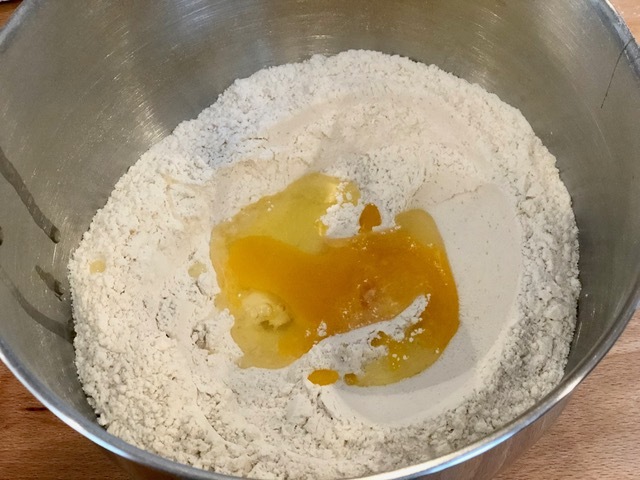 Make a hole in the center, place the eggs into the hole and cover with the flour mixture. Melt the butter and add to the bowl. 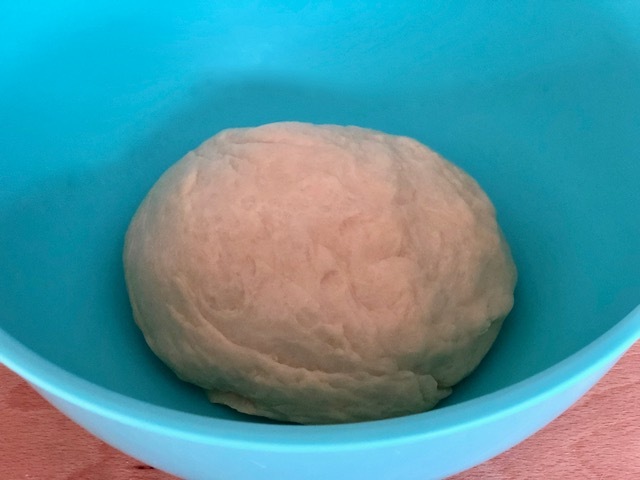 Start kneading the ingredients while slowly adding the lukewarm milk to it while continuing kneading until the dough loosens from the sides of the bowl. If needed continue kneading with your hands. Cover the dough and let it rest until it doubled. 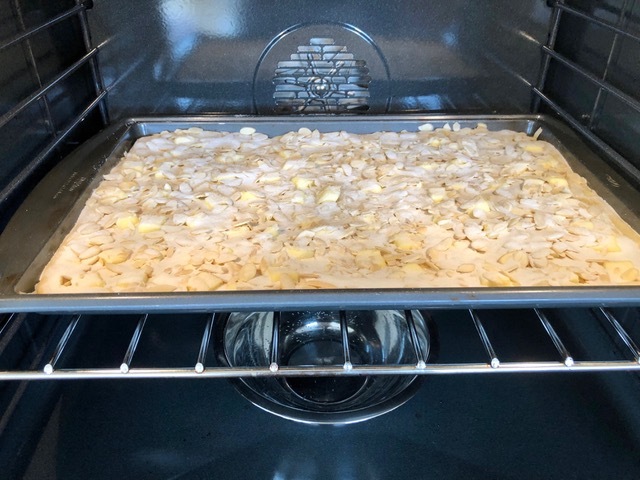 Knead the dough again and roll it out on a baking sheet (11×17 inches) covered with baking paper. With your thumb press holes into the rolled dough. Press the cold butter cut in small pieces into the holes. Spread the almonds and sugar on top. Cover the cake and let it rise for about 20-30 minutes. Preheat oven to 200°C (390°F) and place a metal or ceramic bowl filled with water on the bottom of the oven. Place the cake on the middle roast and let it bake for 20 minutes. Take the cake out of the oven and immediately drizzle the whipping cream evenly on top of the hot cake. I like the Authentic German Butter Cake best when it is warm but it also can be easily stored in the freezer. If you want to try the German Crumb Cake click here, the Buchteln click here, or the Easter Wreath Cake click here.